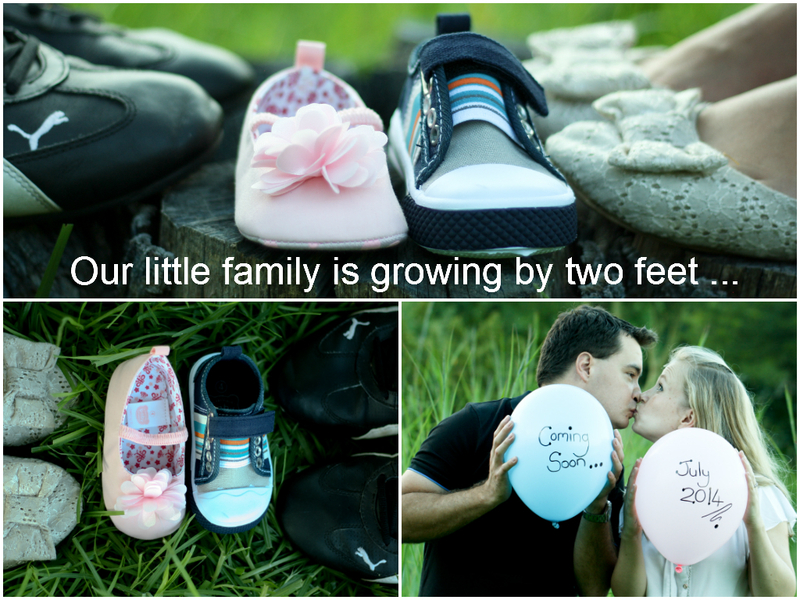 Ryan and I decided to wait until 12 weeks to announce it to the world however after telling the parents and siblings we decided to delay the big announcement by a few weeks and let the rest of the world know after the next scan which happened to be at 14 weeks (14 weeks eventually became 15 weeks). I am safely through the 1st trimester and already in the second trimester … time flies when you having fun (and no morning sickness). Symptoms: Luckily I have so far managed to beat the dreaded morning sickness (maybe I shouldn’t speak to soon but I have now reached my second trimester so hopefully I will be one of the “lucky ones”). I have been tired since week 5 and am still tried – cannot keep my eyes open past about 19h30 so poor Ryan is dealing with not managing to get through a whole episode of any TV show at the moment without having to re watch it the next night. I am constantly bloated and my digestive system doesn’t know if it’s coming or going. I had really bad tummy cramps in the first few weeks which worried the s*@T out of me but those seemed to have eased up a bit. Seems IBS and pregnancy don’t go hand in hand but I am assured that it will all be worth it in the end (and I don’t doubt that). Another pregnancy symptom which is affecting me is headaches – day after day I am battling with a sore head but one again I remind myself I am extremely lucky to have so far escaped having my head over the toilet. Sleep: well as mentioned all I want to do is sleep and if I could I would. The only things so far that has changed with my sleep pattern is I get more sleep then I used to however I do have to get up during the night to have a wee (that too is something I better get used to). Cravings: no strange combinations yet – I actually have food aversions. I have cooked many a plate of food so far where I have taken one bite and the rest has gone in the bin. Mood: I will admit I am moody – pregnancy hormones are not ones to be messed with. One minute I am happy and the next grumpy … going to owe Ryan plenty of steaks when this is all done. I am quite anxious about everything and still scared something goes wrong but sure as the weeks pass things will get better. Best Moment so far: definitely the 14 week scan on the 6th of Jan. We got to see the tiny hands and feet – will post pics on a separate post Hope this gives you a better idea of what is going on in Ryan, mine and the belly beans life (or bento box as my sister is calling “it)!